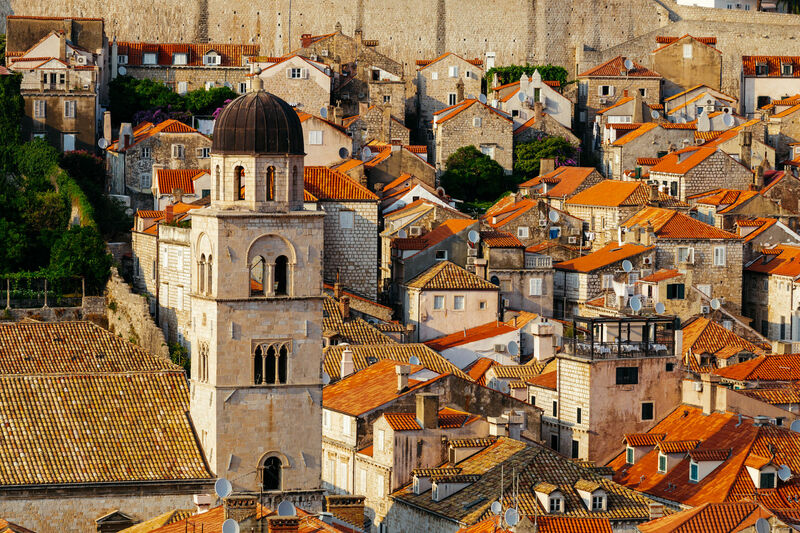 The central street of Dubrovnik is Stradun, formerly called Placa. First the city was established located on a separate island not far from the shore, and when it was decided to unite the island with the mainland, the strait which separated them was covered with ground. That is how Stradun come to life. 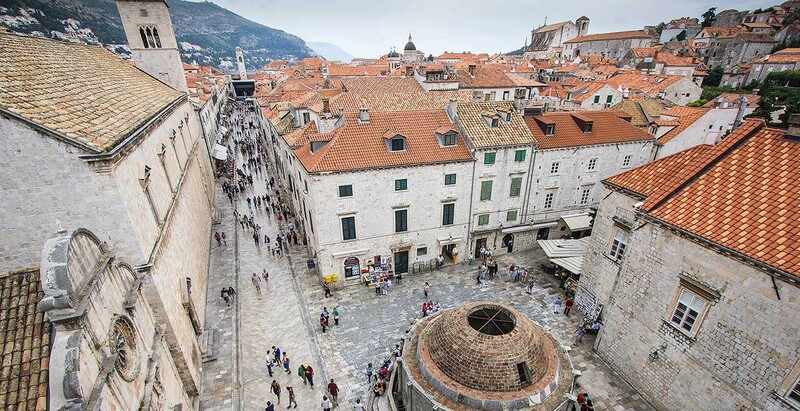 After tests imposed by civilization and natural disasters, the main street of Dubrovnik continues to delight tourists and serve faithfully and loyally to city residents. Year round Dubrovnik is trying to resist the large tsunamis coming from the sea - huge waves of... tourists who in thousands invade the historic city coming from each cruise ship. Stone fortresses are not able to rescue Dubrovnik from them, so alien tribes capture the city quickly, easily and, to be honest, completely without a fight. Travellers are sincerely welcomed everywhere with delicious and hearty meals. 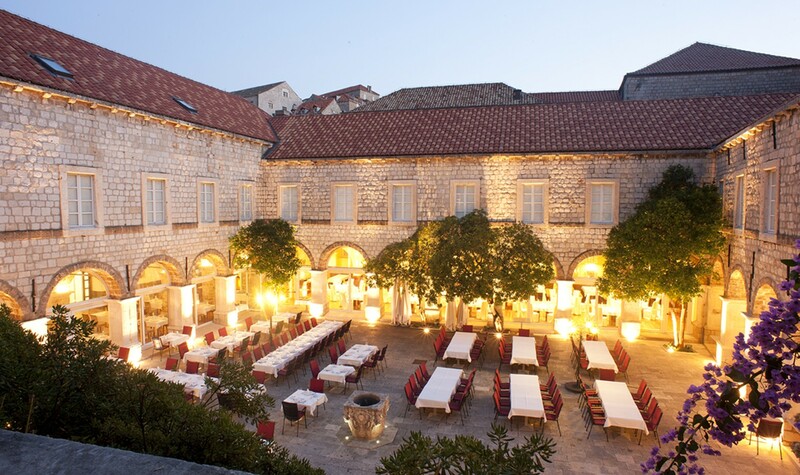 Interestingly, there are absolutely no fast food joints in Dubrovnik, to be more exact, there are only a few of them, but they are difficult to find, so you should entice locals to disclose you the secret locations. If you succeed, you can safely land on the cushion directly on the stairs. Those who were not destined to find a spot, and did not wriggle into favour of city inhabitants, will be met with full honours in a variety of cafes and restaurants, which is also great. In addition, do not neglect the opportunity to taste the homemade wine with fresh fruit from the market in the port of Gruž. 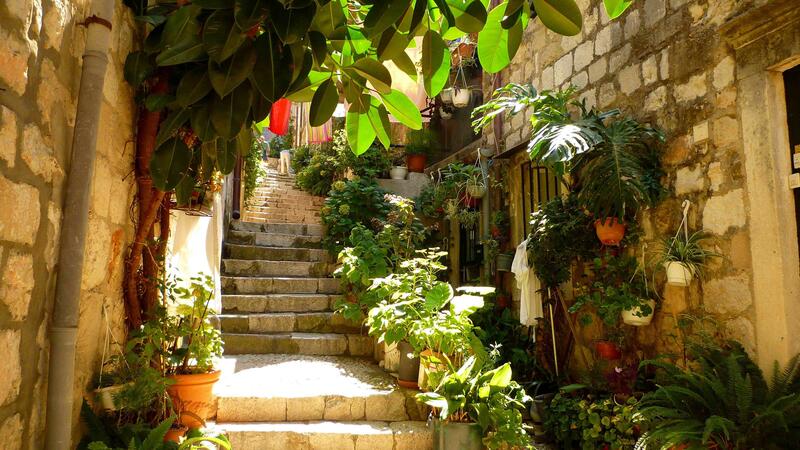 Dubrovnik residents, though happy to receive visitors, yet, exercising their rights of indigenous inhabitants and often look for a quiet rhythm. Numberless steep stone steps and narrow confusing streets hide local folks who follow familiar tracks to reach destinations where they can get a little quiet, like Franciscan Monastery, where one can look through books in ancient library or take a soothing valerian, fragrances of which are wafting from the premises of an old pharmacy located in monastery territory. The monastic cells that remained virtually intact, deserve special attention, they were recently refurbished. The courtyard of the monastery has monastic cells gallery decorated with carved elements and two rows of columns. 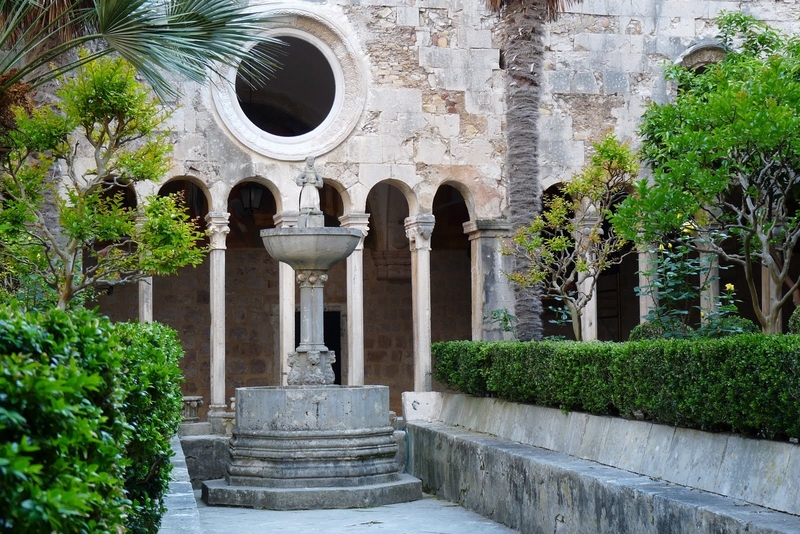 In the middle of the courtyard there is an antique fountain of the 15th century. On the second floor there are monks personal space, only Franciscans are allowed to go up there. An interesting part of the complex for visitors is monastery pharmacy founded in the same year that monastery, it bills itself as one of a few oldest continuously operating pharmacies in the world. It operates until today, and visitors can buy some medicines there. The temple belongs to 1715 and marvels with its rich Venetian baroque style. 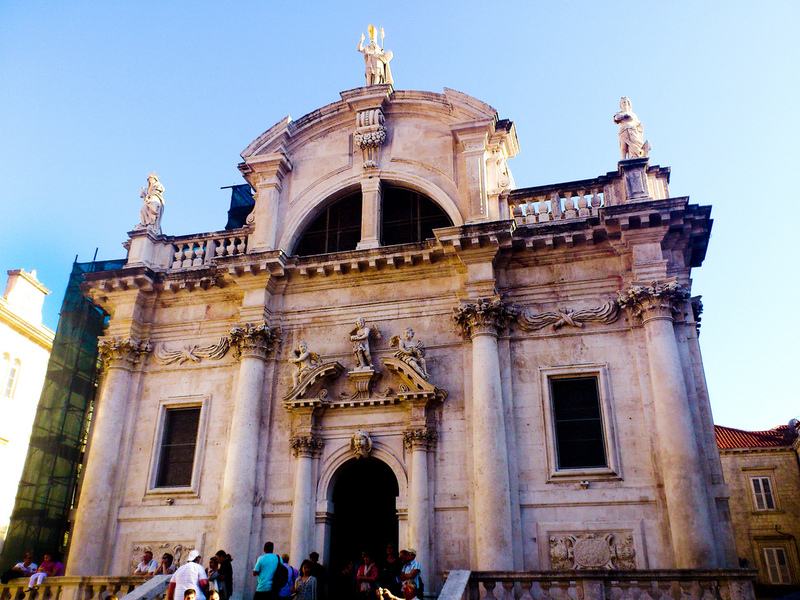 It was built by the Venetian architect Marino Gropelli by order of the Dubrovnik Senate, who wanted to build a new church on the site of the old Romanesque church dated 14th century, which was buried under the ashes in 1706 because of a strong fire. The fire killed everything, just a statue of St. Vlach miraculously survived. Then Dubrovnik residents wrote on the statue "all other statues made of gold, silver and copper melted in fire, and this statue of the Saint, miraculously protected, came intact out of the fire". The statue was moved to a new church that we see today.